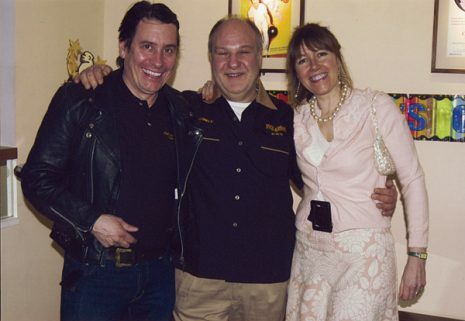 Harvey is a legendary and visionary producer and promoter of rock concerts, charity events and television broadcasts. He has produced managed and promoted shows with most of the world’s major artists and was responsible for the two largest music events in the world, ever; Live Aid and Live 8. Current projects include Jools Holland, Andrea Bocelli and Hans Zimmer’s first live concerts in the UK. 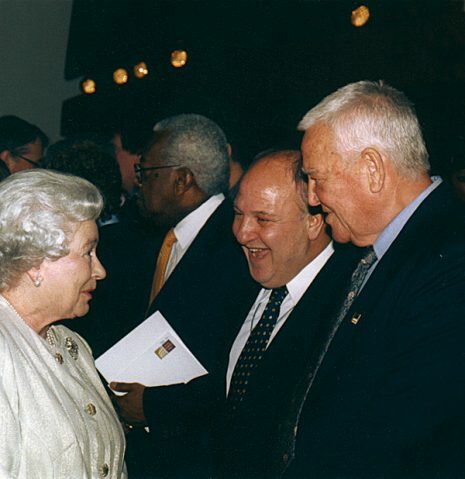 Harvey has received numerous awards including, CBE in the Queen’s Birthday Honours List in 1996. 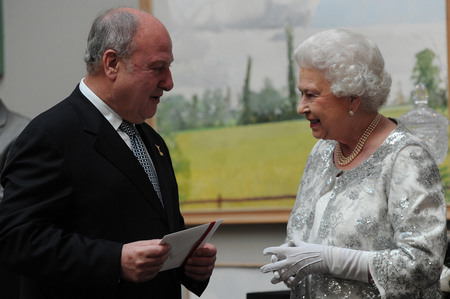 In January 2006 Harvey was awarded the Chevalier des Artes et Lettres from the French Minister of Culture and more recently to celebrate HM The Queen’s Diamond Jubilee, Harvey received the Diamond Award for his contribution to The Arts. In July 2012, Harvey received an Honorary Doctorate of Arts from the University of Brighton. In June 2013 Harvey produced ‘Sound of Change Live’ at Twickenham Stadium, a four hour star-studded show presented by CHIME FOR CHANGE: recently founded by Gucci, which campaigns for improved Education, Health and Justice for women and girls worldwide. September 2014 Harvey produced and promoted the inaugural OnBlackheath Festival on Blackheath Common and the Festival will be returned September 2015. Hans Zimmer performed his first ever live concerts at London’s Eventim Apollo in October 2014. Harvey produced and promoted the shows. In September 2015, Harvey promoted David Gilmour Live shows at The Royal Albert Hall in London. The shows received rave reviews and were a sell out. In 2016 Harvey co-produced Hans Zimmer Live on Tour. Hans Zimmer and his band toured played 38 shows over 14 countries in Europe and become a touring phenomenon. September 2016 saw the return of OnBlackheath for the 3rd year running which received rave reviews. We also took our Festival to Roundhay Park where for the first time in 10 years live music was played in the park and we launched OnRoundhay Festival. Harvey Goldsmith began his career in the Entertainment Industry in 1966. 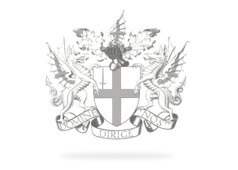 In 1973 he formed Artiste Management Productions Limited to produce and manage Artists in the Music Industry, and in 1976 Harvey Goldsmith Entertainments Limited was formed which became the UK’s leading Promoter of Concerts and Events. 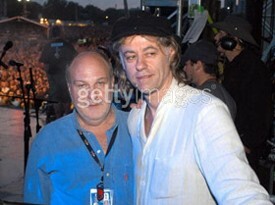 In 1985 Harvey Goldsmith produced Live Aid with Sir Bob Geldof, which raised £140 million for the starving in Africa. 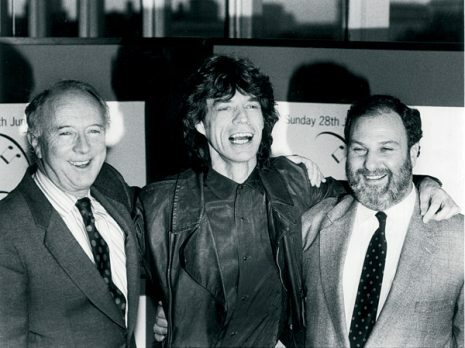 Harvey Goldsmith joined the Princes Trust in 1982 and produced the first Princes Trust Rock Gala. Harvey then became a member of the Princes Trust Board and Vice Chairman of Princes Trust Trading Limited. In 1990 Harvey produced the first of three major Arena Opera productions – Aida, Carmen and Tosca. In 1991 Harvey produced Pavarotti in Hyde Park, which was the first concert in 20 years to be held in Hyde Park. In 1995 Harvey produced the MasterCard Masters of Music show in Hyde Park, which raised £1 million for the Princes Trust. In 1995 Harvey joined the Red Cross Communications Board producing Pavarotti and Friends and Explosive Dance both at The Royal Albert Hall. In 1996 Harvey was honoured with a CBE in the Queen’s birthday Honours List in recognition of his work in the entertainments business. 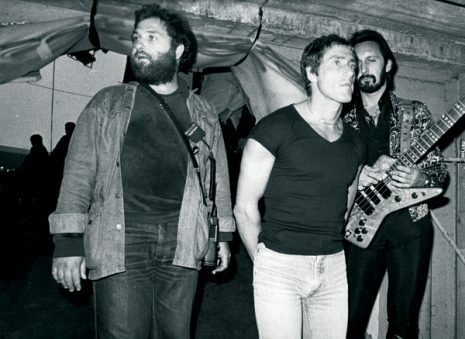 Harvey Goldsmith has produced and promoted shows with most of the world’s major Artists including The Rolling Stones, The Who, Bruce Springsteen, The Eagles, Sheryl Crow, Shania Twain, Bee Gees, Jools Holland and Sting to name but a few. In 1999 Harvey produced Net Aid; the largest awareness campaign for Extreme Poverty for the United Nations Development Program and Cisco Systems. In November 2000 Harvey produced the first Teenage Cancer Trust event at the Royal Albert Hall with The Who and guests raising over £1 million for the charity. In summer 2001 Harvey was hired by Safeway Stores to present Pavarotti, Charlotte Church, Vanessa Mae and Russell Watson in Hyde Park. In October Harvey produced Unite For The Future at The Old Vic raising $1 million for victims of the World Trade Centre Disaster and their families living in the UK. In February 2002 Harvey promoted five more shows for the Teenage Cancer Trust with Marti Pellow, Oasis, The Who and Paul Weller at The Royal Albert Hall raising £500,000 for the Teenage Cancer Trust. In June 2002 he followed the Safeway event with another hugely successful show featuring Rod Stewart, Diana Ross, Shirley Bassey, Ronan Keating and Gabrielle. In October 2002 Harvey promoted Bruce Springsteen at Wembley Arena, the tickets for this show sold out in 40 minutes making it one of his most successful yet. This was followed by three sell out stadium shows in May 2003. In March 2003 Harvey and Roger Daltrey co-produced another run of shows at the Royal Albert Hall raising money for Teenage Cancer Trust with six nights featuring Richard Hawley, Coldplay, Nigel Kennedy, Eric Clapton, Richard Ashcroft, Noel & Liam Gallagher, Paul Weller, Ash, Asian Dub Foundation, Supergrass, Doves, Madness and Aswad. In August 2003 Harvey produced Fly To The Past, an historic revival and flight display at Blenheim Palace. In the same month Harvey produced for the Mayor of London the inaugural concert of the renovated Trafalgar Square with David Gray and five guest artists. Harvey produces the now legendary annual 32-city tour for Jools Holland. Harvey also created and produced The Smash Hits Poll Winners Party and The Disney Kids Awards. In 1994 Harvey commenced a relationship with Cirque du Soleil. This has been one of most successful shows ever to perform in the UK. Returning to London’s Royal Albert Hall every January to date, the show is seen by around 183,000 people and sells to around 98% of capacity. In 2005 Harvey managed the show in London, Birmingham and Manchester, which marked a first time in Europe for Cirque in having two different productions in the same Country. April 2004 saw another successful run of the Teenage Cancer Trust Concerts at the Royal Albert Hall and in May 2004 Sting sold out a run of six nights at the Royal Albert Hall. 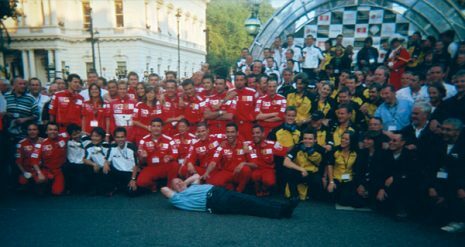 On July 6th 2004 Harvey produced for the Crown Estate and Westminster Council the first ever parade of Formula One cars in the centre of the West End- Regent St. Over 500,000 people attended this event. Regent Street was transformed into a 3km circuit and the top eight Formula One cars and drivers each completed a circuit. Harvey was a key consultant to Anschutz Entertainment Group on the re-development of what was then known as the Millennium Dome, now the O2 Arena, a global milestone entertainment district with a 24,000 capacity arena as its centrepiece. 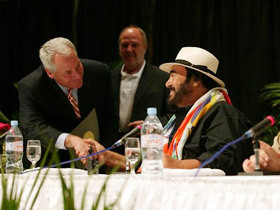 In December 2004 Luciano Pavarotti appointed Harvey to be the worldwide producer of his Farewell Tour. The tour went on to take in 37 sold out concerts. Using Harvey’s worldwide contacts and associates; The Tour spanned six continents with the legendary Tenor performing in North America, South America, Europe, Middle East, Asia and Australasia. 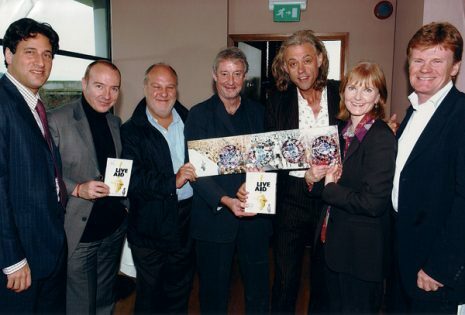 In May 2005 the Band Aid Trust asked Harvey to produce Live 8 worldwide. The event took place on July 2 2005 and presented the biggest collection of artists (225) all on one day in eight locations around the world. In addition to the Hyde Park concert in London, Harvey also executively produced Paris, Berlin, Rome and Philadelphia. The TV coverage set world records with 160 TV networks around the world showing the event live, plus 400 radio stations. In addition Harvey secured the partnership of AOL and Nokia. AOL’s coverage of the five key events were ground breaking and have become a benchmark for global events. Harvey is passionate about promoting London as The Greatest City In The World. Harvey became a director of the London Tourist Board and was part of the group which transformed LTB in to Visit London. Harvey is currently a member of the Mayor’s Tourism Advisory Group. In January 2006 Harvey was awarded the Chevalier des Artes et Lettres from the French Minister of Culture. Harvey is currently chairing the British Music Experience to be built at the new O2 Dome in Greenwich with AEG and the BPI. In October 2006 Harvey was honoured with the 15th Music Industry Trust’s Award (MITS), one of the highest accolades to be awarded in the music industry, in recognition of his contribution to the music industry. Harvey is Chairman of Ignite, an Experiential Marketing Company, who are industry leaders in brand activations at events all over the world. Ignite was the winner of the 2009 Best Targeted Brand Experience award. In December 2006 Harvey presented the groundbreaking dance spectacular The Merchants Of Bollywood; the first ever Bollywood production to tour straight from Film City in Mumbai. The show toured the UK after opening at London’s Hammersmith Apollo on 21st December and then went onto tour Europe for six months in 2007. In November 2006 Harvey produced the UK Arena dates of Bruce Springsteen’s sell-out tour with the Seeger Sessions band. Harvey was Executive Producer of Nokia New Years Eve 2006, which saw five concerts run simultaneously in Hong Kong, Mumbai, Berlin, New York and Rio. The concerts were broadcast live across the globe and marked the biggest ever New Years Eve Music extravaganza, featuring Black Eyed Peas, John Legend, Nelly Furtado, Scissor Sisters, Sugababes and many more. In 2007 Harvey was appointed as senior producer for the 8 Live Earth concerts around the world. In December 2007 Harvey produced the Led Zeppelin reunion concert which was put together as a tribute concert to Ahmet Ertegun, co-founder of Atlantic Records. The concert was held in the O2 Arena in London and went down in history as one of the most in-demand tickets ever, scooping up a number of awards in it’s wake, and raising money for the Ahmet Ertegun Education Trust. In May and June 2008 Harvey brought Bruce Springsteen and the E Street Band back to the UK. They played at Manchester Old Trafford Stadium, London Emirates Stadium and Cardiff Millennium Stadium. This was the first concert ever held at the Emirates Football Stadium. 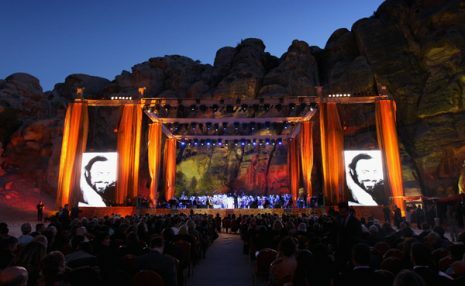 In October 2008 Harvey produced ‘Salute Petra’, the official tribute concert to the life of Luciano Pavarotti held in Petra, Jordan under the patronage of HRH Princess Haya Bint Al Hussein. The tribute featured artists from the world of Opera (Angela Gheorghiu, Andrea Bocelli, Jose Carreras, Placido Domingo to name a few) as well as pop artists such as Sting, Zucherro, Laura Pausini and many more. The spectacular concert was filmed and made into a DVD, whose sales raised money for the UN Fund for Refugees. In November 2008 Harvey was honoured with the Armand de Brignac VIP Award from Classic Rock Magazine and he also picked up the award for Event of the Year for the Led Zeppelin concert at the O2 Arena in honour of Ahmet Ertegun. In December 2008 Harvey took over the management of Jeff Beck after the two saw each other at the Classic Rock awards where they were both collecting awards. The National Outdoor Events Association (NOEA) presented Harvey with the Lifetime Achievement Award from The Outdoor Events Industry in February 2009. The British Music Experience opened at the O2 Arena in March 2009 and Harvey is Chairman of the Foundation and Chairman of the Board. The BME is a registered charity and is the UK’s museum of music history, with the purpose to advance the education and appreciation of the art, history and science of music in Britain. Already it has helped over 14,000 students in the last year and administered over £140,000 in Education Grants for the local community. In September 2009 Harvey produced the Tower Festival in the Tower of London which ran for 10 days and weeks later ‘Last Night of the Poms’ starring Dame Edna and Sir Les Patterson went on Tour around the UK reviving the hit show from 28 years ago. Before the year was out, Harvey produced Andrea Bocelli’s UK tour in conjunction with Kilimanjaro, and also produced the first tour by Yusuf (formerly known as Cat Stevens) for nearly thirty years. The tour ended with an incredible night at the Royal Albert Hall, which featured a preview section of Yusuf’s new musical ‘Moonshadow’. 2010 has seen the release of Jeff Beck’s first studio album in over six years, released on Rhino. In support of this album, entitled ‘Emotion & Commotion’ Jeff Beck has embarked on a major World Tour of Australia, New Zealand, Japan, Korea, USA and Europe. This summer will also see Harvey put legendary rock band Faces back together to perform a handful of UK dates. In April 2010 Harvey was honoured with the International Music Person of The Year for his outstanding contributions to the Music Industry at the MUSEXPO by the City of West Hollywood. 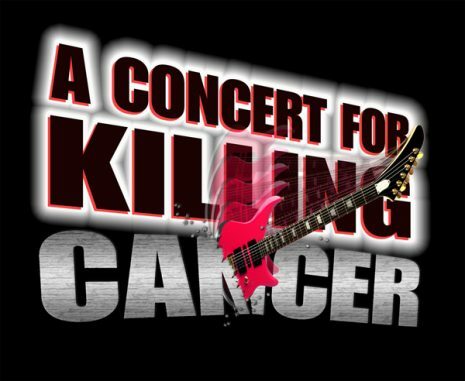 Harvey promoted a concert at the beginning of 2011 for the charity Killing Cancer with a line up of artists including Richard Ashcroft, Bryan Adams, Jeff Beck, Debbie Harry and The Who. In February 2011 Harvey produced ‘City Rocks’. An iconic event which was in support of the Lord Mayor’s Appeal, attended by The Rt Hon, The Lord Mayor of the City of London, Alderman Michael Bear and the Lady Mayoress, Barbara Bear. City Rocks was the first major rock concert to be held in the City of London. 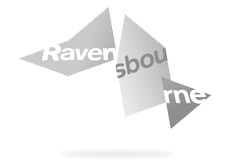 In recognition of his outstanding contribution to the institution’s music education, Harvey was awarded an Honorary Fellowship from Ravensbourne, the university sector college innovating in digital media and design in September 2011. 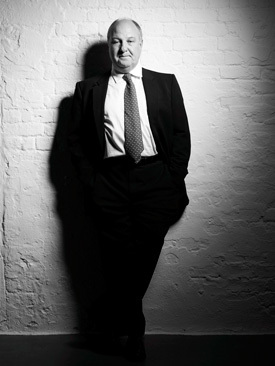 Harvey Chaired the Judges Panel for the Editorial Intelligence Awards in October 2011 and became a Board Member. The Lord Mayor of London honoured Harvey with The Freedom of The City in November 2011. In December 2011, Harvey became Event 100 Club’s most influential person in the Events business. 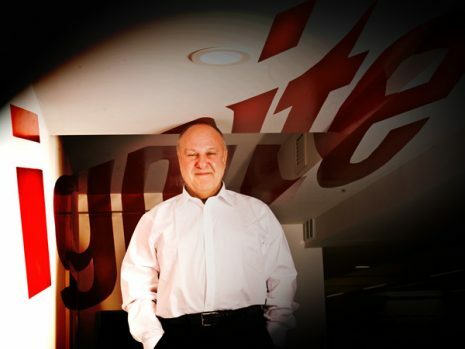 As Chairman of Ignite, Harvey took the agency to new levels in 2011. As part of HM The Queen’s Diamond Jubilee Celebrations in May 2012, Harvey received The Diamond Award, for his contribution to The Arts. In June 2012 Harvey produced The Jubilee Family Festival in Hyde Park over 2 days as part of HM The Queen’s Diamond Jubilee Celebrations. July 2012, The University of Brighton presented Harvey with an Honorary Degree of Doctor of Arts . September 2012 saw Harvey bring over the famous French cabaret show ‘Crazy Horse, Forever Crazy’ to London’s South Bank for a 3 month run. This is the first time that the show has come to London. 1st June 2013, Harvey produced ‘Sound of Change Live’ at Twickenham Stadium, a four hour star-studded show presented by CHIME FOR CHANGE: recently founded by Gucci, which campaigns for improved Education, Health and Justice for women and girls worldwide. The concert featured Beyonce and Jennifer Lopez. ‘City Rocks’ asked Harvey to produce their event in April 2014 at the Royal Albert Hall. Lily Allen headlined the concert and was joined on stage by Brian May, Sophie Ellis-Bextor and Maverick Sabre. In September 2014 Harvey launched OnBlackheath Festival, the first time a festival has been allowed to be on Blackheath Common. Headlining this 2 day festival was Massive Attack, Grace Jones, Aloe Blacc, Frank Turner & The Sleeping Souls, Imelda May and many more artists. OnBlackheath returned for its 2nd year in September 2015 and will be back in September 2016. Hans Zimmer performed his first ever live concerts at London’s Eventim Apollo in October 2014. Harvey produced and promoted the shows. Due to the success of these 2 shows, Hans Zimmer is embarking on a European tour commencing April 2016. Harvey is the Chairman of The British Music Experience, the UK’s only Museum of contemporary music from 1946 to the present. Harvey is also a Board Member of: Editorial Intelligence, Captive Minds and Captive Health. He is also on the Investment Board of Edge VCT. Harvey is a Board Member of Great Portland Street Synagogue. 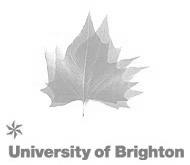 Harvey received an Honorary Doctorate of Arts from the University of Brighton. If we don’t deal with Brexit now it will never happen. If so we will live to regret it.